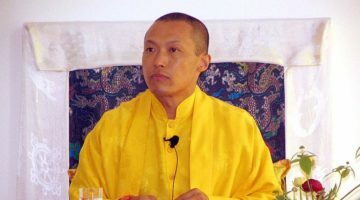 Note: In 2018, Sakyong Mipham Rinpoche became the subject of a number of allegations of sexual assault and misconduct and stepped back from the community he led, Shambhala. While Lion's Roar does not endorse him as a Buddhist teacher, we understand that some may want to access his past teachings in light of recent events, and so we are continuing to make this article from our archive of past issues available for those who wish to do so. We’re caught in confusion because of mistaken beliefs about who we are, says Sakyong Mipham Rinpoche, but we can see our way clear by using meditation to slow down. The nidanas—the twelve branches of dependently related arisings, or “cause and result”—are the elements that keep us in samsara, the cycle of suffering. I offered a description of the nidanas in the July issue of the Sun, and now continue this investigation by looking specifically at the first nidana, ignorance, and how it fuels our sense of self. Once there is a self, then there is action. Once there is action, there is birth, and the wheel keeps turning. The coarse level of ignorance known as the first nidana is about not knowing, and it results in four mistaken beliefs about who we are. The first comes from not knowing the four noble truths (suffering, the origin of suffering, the cessation of suffering, and the true path); the second from not understanding impermanence; the third from experiencing suffering as pleasure; and the fourth from thinking that the self is a solid entity. First, when we don’t understand the four noble truths, we believe that chasing what we desire will bring us happiness. We stay in the cycle of suffering because we assume that samsara will deliver what we want. Over and over, we try to make it work. 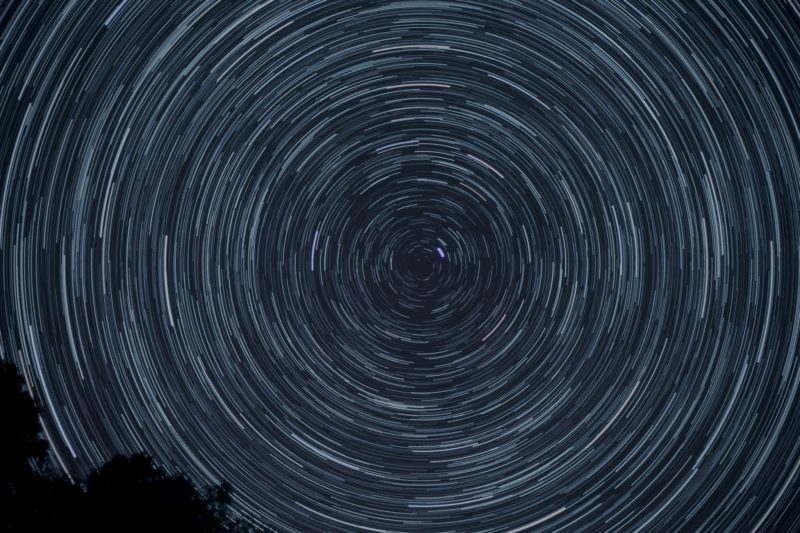 Our efforts are grounded in mistaking our ever-changing experience for a solid self, or “me.” To break free of this, we need to see clearly that the chain reaction of causes and conditions that dominate our world is cyclical, endless, and fundamentally dissatisfying. Suffering is the reverberation of not knowing selflessness. When we see the depth of our bewilderment and the darkness of samsara, we stop thinking that we can get what we want from it. Second, before we can understand impermanence, we have to understand permanence. We think we’re permanent, that we’ll always be who we are. This deep-rooted notion of permanence is like being in a dream. When we’re in a dream, it feels like it’s going to last forever, yet the self we’re imagining is simply a conglomeration of skandhas or “heaps”— blood, bones, memories, emotions, thoughts, and perceptions. Ignorance says, “I think I’ll call this ‘me.’” When we believe the self is permanent, we believe the world and its phenomena also are permanent. We see that things change, but our sense of permanence is pervasive. The practice of peaceful abiding quells negative emotions. The Sanskrit word for intense emotionality is klesha, and it has to do with obscuration and contamination. We are afflicted with kleshas such as anger and jealousy, just as we are sometimes afflicted with illness. From the perspective of the nidanas, these afflictive emotions arise because we are misinterpreting the skandhas. Our mistaken view of a permanent, solid entity called “me” has resulted in fixation, desire, and aggression. Afflictive emotion doesn’t just mean having a temper tantrum; it can also mean discursiveness—having a weak or scattered mind. Taking on those misunderstandings, the mind becomes obscured, thickened, and veiled by emotions. We are obscured because the truth is not coming out. Shamatha is a potent way to tame the conventional mind. The process is sometimes described as taking the stones and weeds out of a field and processing or nurturing the soil so that something can grow in it. As we look at how thoughts, memories, and conflicting emotions rise and fall, our mind becomes more peaceful. Although the mistaken beliefs are still in place, there is less agitation, and the kleshas are not as strong and predominant. Practice is taking the time to step back a little, release our grip, and see where we are. If we’re able to do that, we can begin to notice a pattern. Before that, we’re stuck in the pattern, and we can’t see it. It’s a very limited view. When our mind is at peace, we have the subtlety, stability, and clarity to see our mistaken assumptions about who we are and what the world is. We do this by contemplating impermanence, suffering, and the five skandhas. This is how we learn to see clearly, and develop the intention to change. Practice is a gradual process. We have to stick with it and apply ourselves to work through our natural mistaken beliefs. Initially, the process is awkward because there’s still distance between us and truth of how things are. We think, “Is this cause and effect, as I’ve heard? Is this the suffering the Buddha talked about? Is this selflessness?” The more we stabilize our minds, however, the more we are able to point them toward the truth. The more we contemplate the truth, the more we see clearly how karma and the twelve nidanas work. Eventually, we are able to bring into our daily experience the inquiry and inspiration aroused by practice. 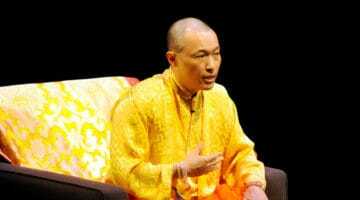 Sakyong Mipham is the leader of Shambhala, a global community of meditation practitioners committed to realizing the inherent goodness in humanity. He is author of several books, including The Shambhala Principle. His website is sakyong.com.